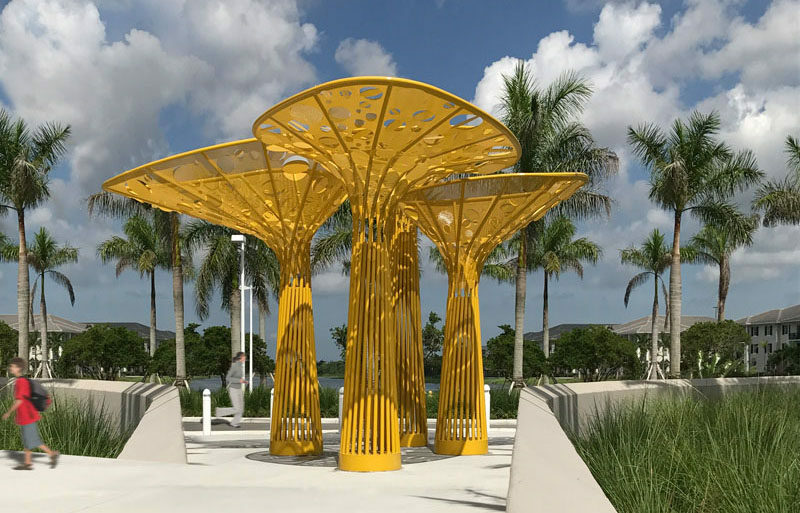 Brooks + Scarpa have designed a large bright yellow tree-like public sculpture for the city of Pembroke Pines in Florida. 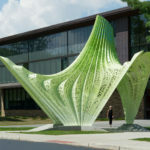 Named the ‘Gateway Sculpture at Pembroke Pines’, the sculpture has been designed as a meeting place for plaza it is surrounded by. 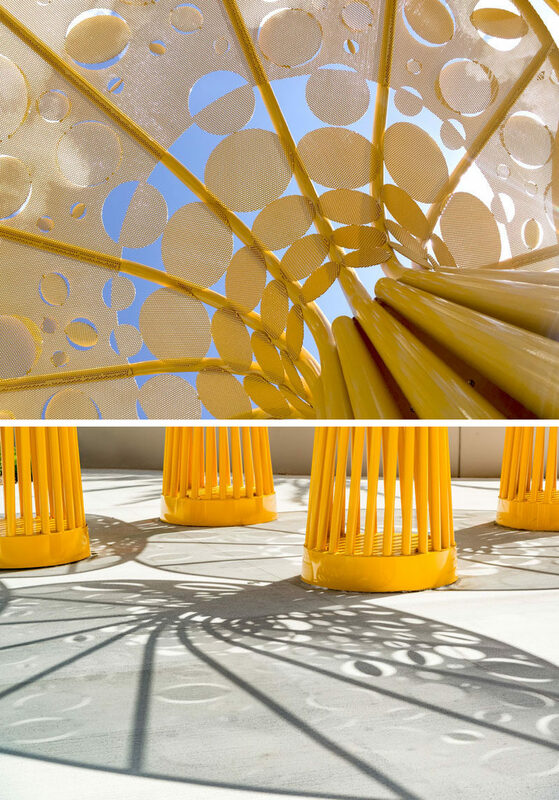 The stainless steel base leads up to the canopy of the sculpture, which is made with perforated plates that appear to spin in the continuous breeze of South Florida. 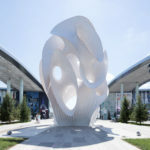 The sculpture also provides a shaded area for seating. 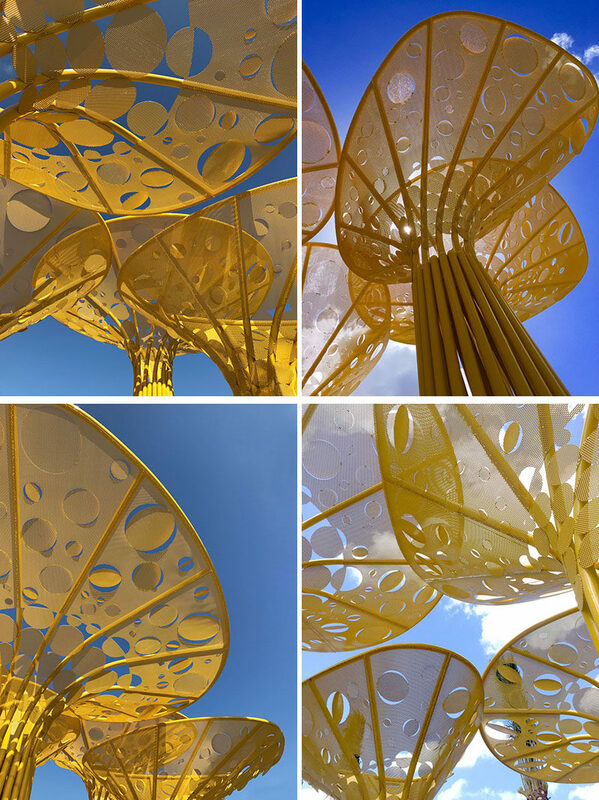 Designed as a maintenance free and durable sculpture, stainless steel was used over mild steel to insure the longevity of the structure, while a durable yellow paint was used instead of traditional powder coating in case scratches or other issues may have arisen. 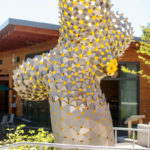 This allows for the city staff to easily maintain the structure. Here’s a behind-the-scenes glimpse that shows how the sculptures were made and painted.